Wind Sail can be engraved with up to 150 characters of your thoughts, feelings, names, and dates. The Copper vein finish is dark brown finish with veins of black. 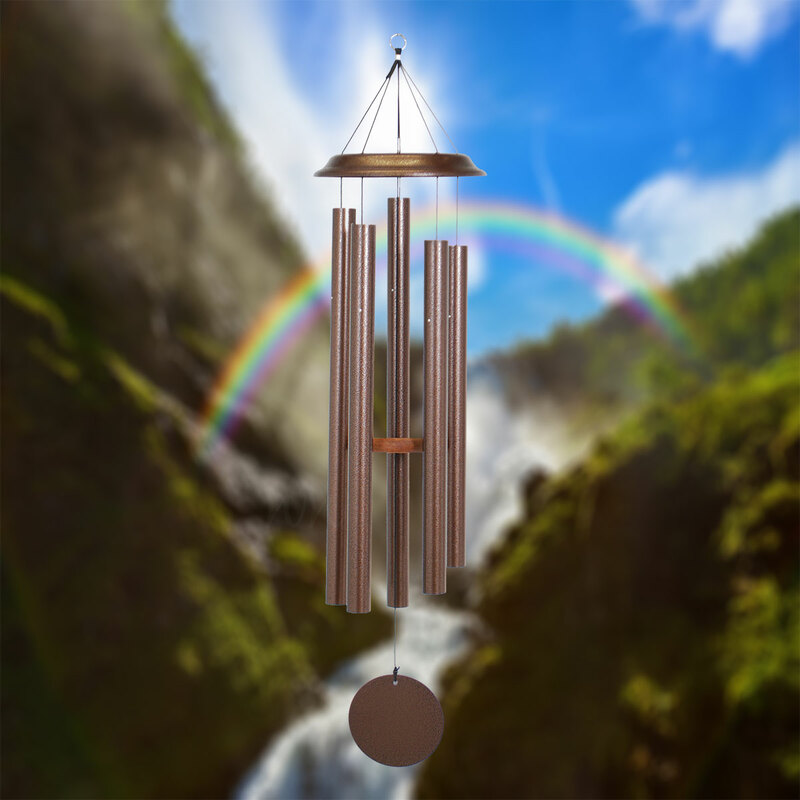 One of Shenandoah Melodies windchimes remarkably popular colors. It's reflective surface shines well in the light. Wonderful in any sun lit area of your home. A new addition to the Corinthian Bells line, Shenandoah Melodies are designed to resonate beautiful tones in the slightest breeze. Made with powder coated aluminum top, tubes and sail, Shenandoah Melodies are individually hand-tuned to provide years of musical enjoyment. Shenandoah Melodies are Made in the USA and come with a three-year warranty against defects in craftsmanship. Shenandoah Melodies are available in seven sizes and seven colors: Plum, Sage, Green, Copper Vein, Patina green and Black.